Discounted football and sports Club Trophies. 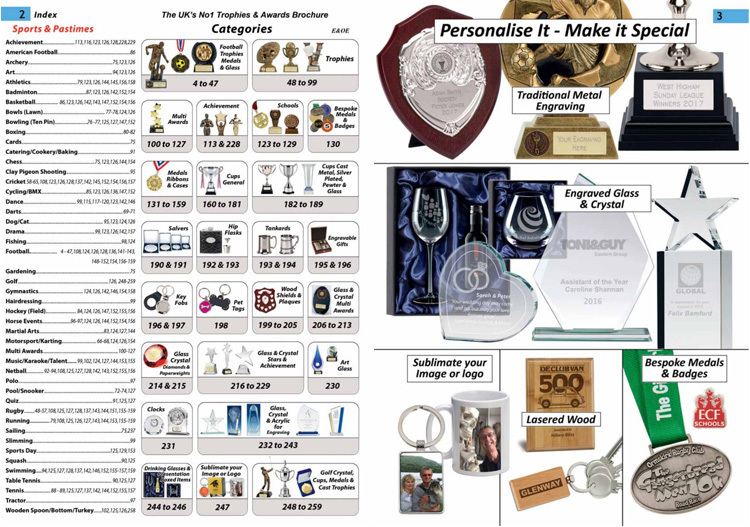 Big Savings on Football Team Medals, Trophies, Plaques. Choose from a variety of sizes, styles and materials. Contact us for your discounted quote. Visit our Derby showroom to collect a complimentary brochure (14 Nottingham Road, Borrowash, Derby, DE72 3FL) or contact us for one to be sent out FOC to your address.